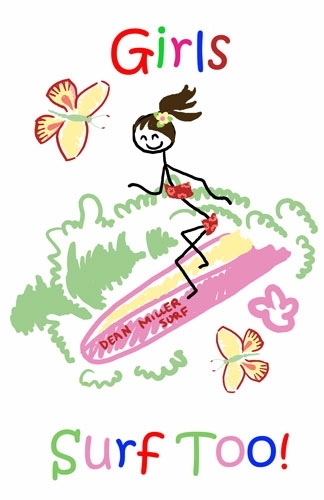 This Girls Surf Too Poster can have any name added to it! 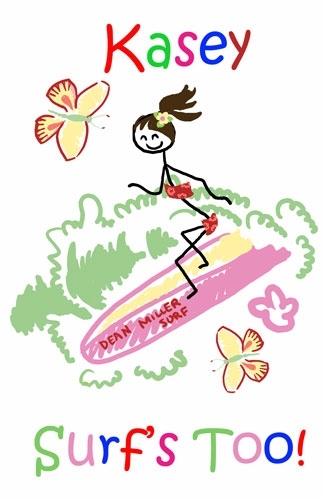 Girls Surf Too! Poster - Dean Miller brings you another original surf decor design with our custom made girls surf too poster. You can add any text you like to our girls surf too poster image to make your home personalized and just the way you like it. You will be the talk of the town when your neighbors come by for a visit and see your original girls surf too poster displayed in your beach home. Makes a Great Gift for any little girl you know! Posters take about a week to get printed and shipped. Remember you can always call us at (949) 370 - 6535 with any questions you have! In stock ready to ship. To add the name or text you want to the hula girl poster, simply write it in the customer notes section upon check-out. And make sure you double check your spelling! If you want to proof the design first, we can email you the artwork.